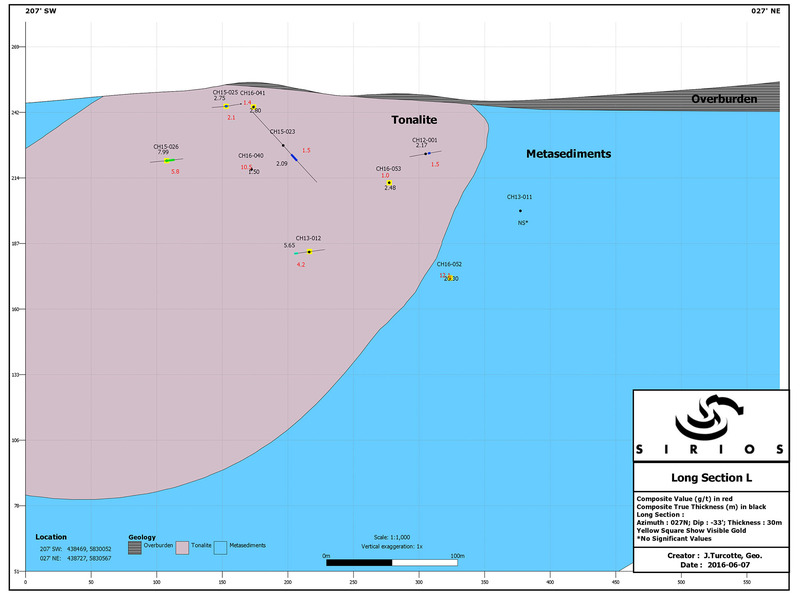 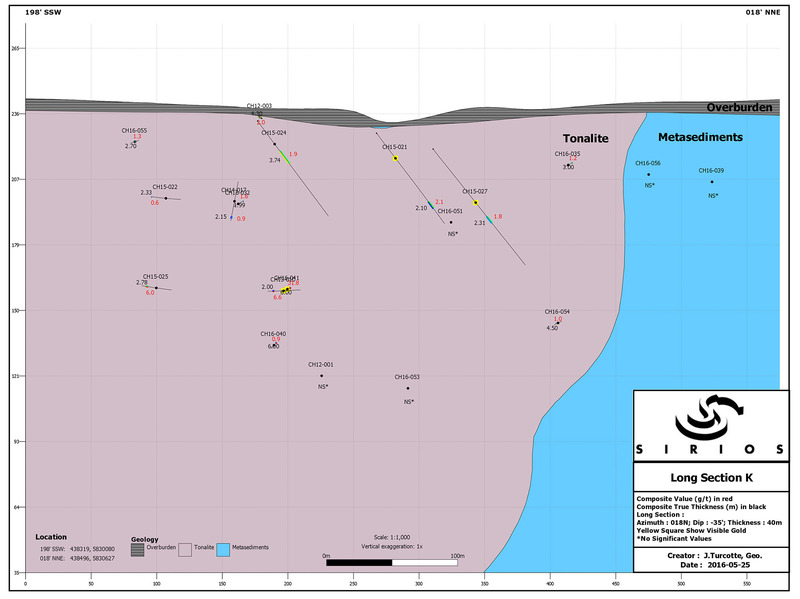 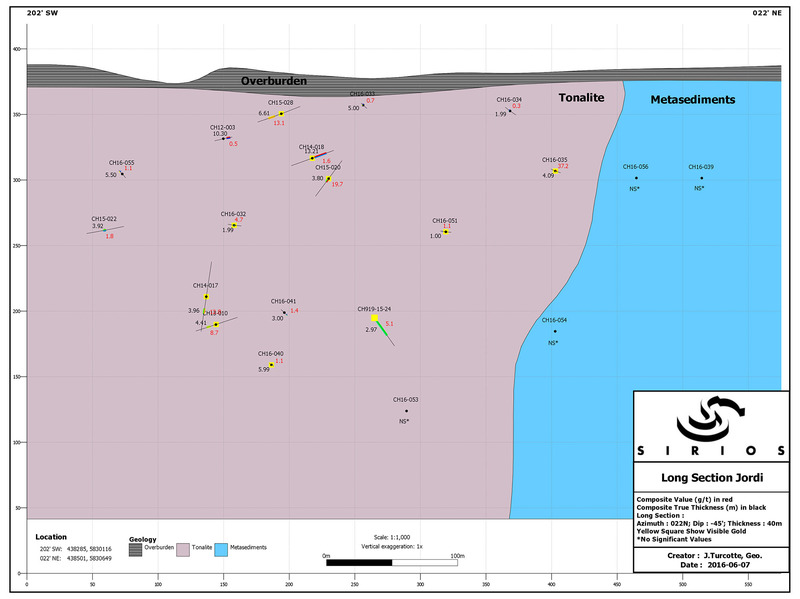 High-Grade Gold Intersected at Cheechoo - Golden Valley Mines Ltd.
“Besides partial results already published, new results of the twenty-six holes undertaken include grades of 37.2 g/t Au over 4.1 metres including 102 g/t Au over 1.4 metres in drill hole #35; 31.8 g/t Au over 6 metres, including 124.0 g/t Au over 1.5 metres in drill hole #41; 6.0 g/t Au over 7.4 metres in drill hole #54; and 13.0 g/t Au over 2.7 metres, 29,1 g/t Au over 1,2 metres and 29.3 g/t Au over 1 metre in drill hole #53. 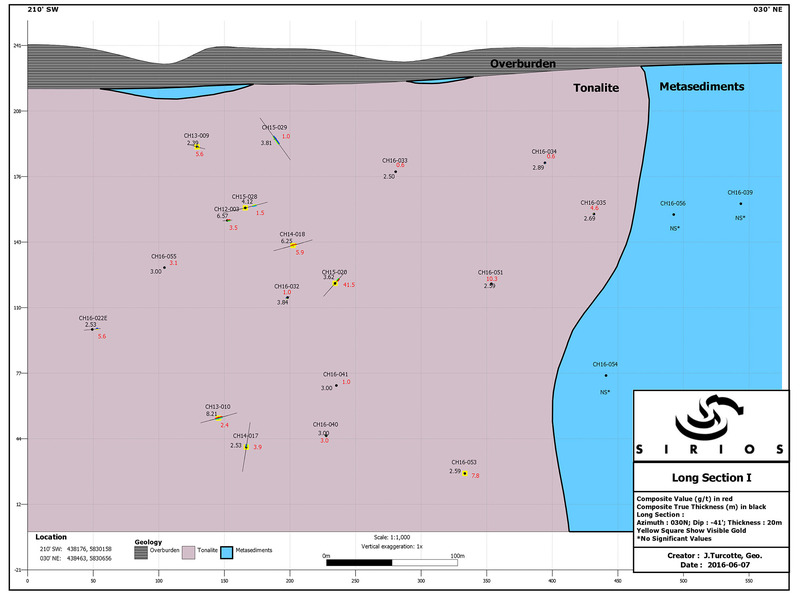 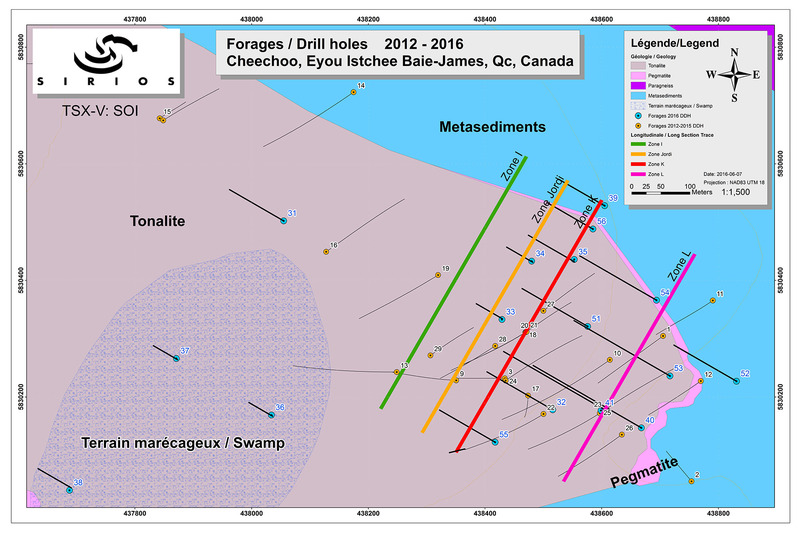 Gold grades were also confirmed in drill holes where visible gold was observed (press release March 7, 2016) in the new sector located at more than 1.5 km from the main drilled sector, yielding up to 5.5 g/t Au over 1 metre and 5.3 g/t Au over 1.1 metres in drill hole #47 and up to 10.7 g/t Au over 1 metre in #48.
ing statements are based on the beliefs, estimates and opinions of the Company’s management on the date the statements are made. 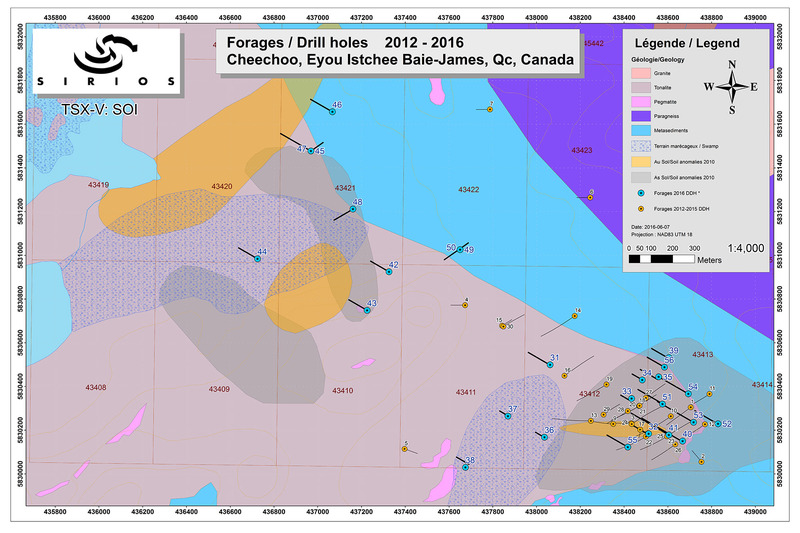 Except as required by law, the Company undertakes no obligation to update these forward-looking statements in the event that management’s beliefs, estimates or opinions, or other factors, should change.